AKA Yaralton, or Yarrelton, the town was formed in the late 1860s by settlers from Alabama. The town was named to honor Storekeeper / Judge Tom Yarrell. The first classes of the school were held under a brush-arbor in 1876. A post office opened in 1886. In 1890 the population was 50 and the town had a gin and two stores. Yarrellton was once famous for its huge Fourth of July picnics, which sometimes drew crowds over a thousand people. In 1941 the population was reported as fifty-eight and its been in a slow decline ever since. 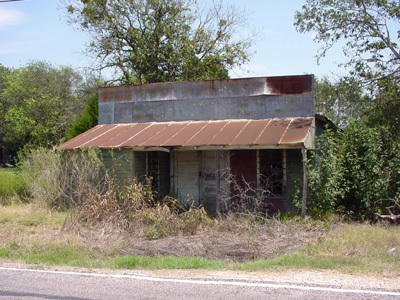 Anyone wishing to share history or photos of Yarrellton, Texas, please contact us.